Death is not the opposite of life, just the absence of it. Now tell me, Professor, do you teach your students that they evolved from a monkey? 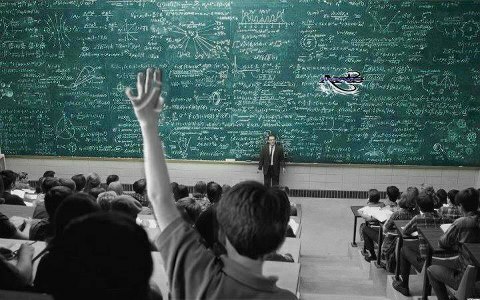 Student: That is it sir … Exactly! The link between man & GOD is FAITH. That is all that keeps things alive and moving. I believe you have enjoyed the conversation. And if so, you’ll probably want your friends/colleagues to enjoy the same, won’t you? ← How Old is Grandma??? Love the story. Anyone know if the student realy was Einstien? This is on snopes.com, it’s been fake since it first started in 1999. Wouldn’t expect any Christians to look that up though, they just take it on faith that it’s true and repost it all over facebook. What a crock. It is this kind of reasoning that illustrates the reason why we need to keep religion out of government and our education system. When you take the temperature down to absolute zero, atoms stand still. You can go below absolute zero however, but instead of getting colder, the atoms get hotter and the atoms act in a bizarre fashion, expanding rather than shrinking. Like the universe. You could say there is an absence of heat, but that would be wrong. Heat is a state of excited atoms. The atoms never leave. The slow down, they stand still, or they speed up, but they continue to exist. Therefore, there is no such thing as cold as a seperate entity, but rather spectrum of gradiation. Cold is not the absence of heat. It is a state that is still heat just label cold in relation to our pain threshold. Cold is a point of relativity, relative to only creatures who measure it. Light is similarly defined. Einstein stated that there is no darkness, just an absence of light, but that is a very general way of stating it. What we term light is nothing but the visible portion of a wave. A wave of radiation. Though we label it darkness, there is radiation everywhere in the universe. We may not be able to see the radiation with our naked eye, but that raditiation is rebounding off matter everywhere. In one spectrum or another, there is always light. Darkness, like cold, is relative and only relative to those creatures who can detect and quantify it. Darkness as we know it is just a gradiation of light. It’s our eyes that force us to label it darkness. Our inability to register it. Evolution occurs over too long a period to record it happening. The only way to know that it has h appened is to compare the before and the after and this we can do. With fossil records. All it requires is that you trust the tools, the proven laws of science, and the established scientific methods. That can be called faith, but it is a different kind of faith than religion utilizes. Faith is not a sword to be waved around to prove a point. Faith is confidence in the veracity of the data presented. However, unlike religious faith, scientific faith must be tested regularly and discarded when necessary. Life and death are states of being. Life is a state of being in which matter and atoms perform in a specific way working as a machine. Death is state in which matter and atoms no longer work in concert forming the machine it once comprised. In all of our suppositions as to how man kind and all life came to be, science tells us one, and only one, irrefutable fact: We don’t have enough data available to speak of our orgins with any kind of veracity. You can’t prove there is a god and we can’t prove there isn’t. We can prove that the gods presented to the scientific communites most likely don’t exist. We have clues. It is only our egotism and laziness that forces us to define the unknown variable that is our point of origin. Rather silly. We CAN see brains, and even have direct evidence of their activity in a living being. Not a problem. Evolution? Yep. We can watch that, too. It’s a lot faster on a smaller level, and bacteria can show us huge steps of evolution very quickly, as an example. The story’s professor mistakes about light and heat don’t mean that science isn’t correct about them … that’s the tool the story’s student used to correct him after all: science. A person being incorrect doesn’t make the truth less true.